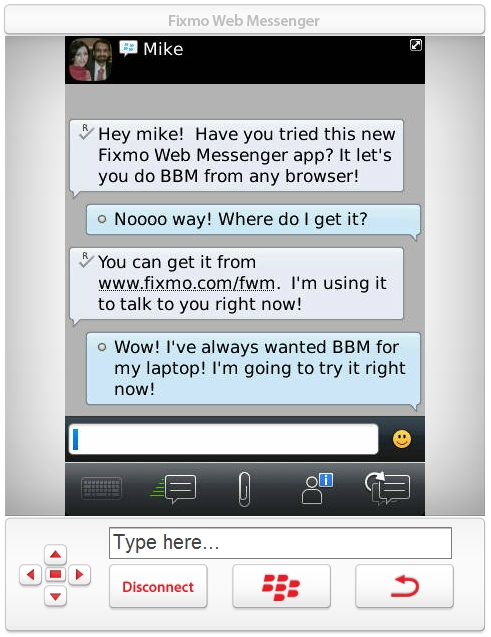 Deal of the Day - Fixmo Web Messenger for BlackBerry | BlackBerry Blast! 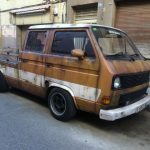 Fixmo Web Messenger provides an entirely new experience by allowing you to access your devices BBM BlackBerry® Messenger experience directly from any web browser. To use Fixmo Web Messenger, download and install the Fixmo Web Messenger mobile application on your BlackBerry®. After installing the mobile app, simply visit the Fixmo website and log-in to start using BlackBerry® Messenger on the web with all of the convenience of a full-size keyboard.